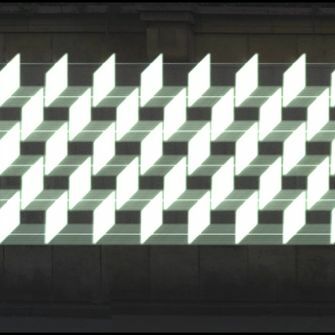 /CZ/ Jan Nálepa is a new media artist focused on interactive installations and audiovisual compositions. He is one of promising appearances on the young Czech art scene and his accomplishments are a proof of it. As one of only two Czechs he was invited to cooperate on the ISWA project (Immersion in the Science Worlds through Arts), exploring the connection of art and science. De/composed is bases on the projection mapping technique. 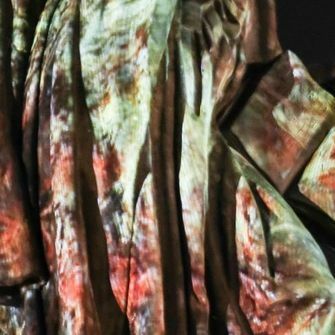 A special laser scans the geometry of the particular parts of the sculpture, transforms them into sound, and together with images the artistic interpretation comes back to the object – in this particular case St. Cajetan sculpture on the Charles Bridge – to revive it. “We would like to show that every object has a hidden composition that is hard to reveal at first sight” the authors stated. 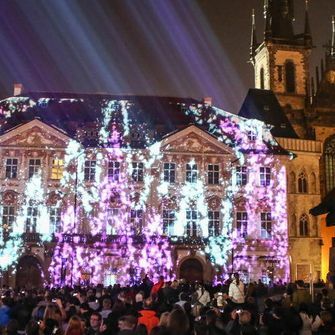 This installation was created in cooperation with Jindřich Ráftl and Jan Tůma from the R/FRM studio that works on the edge of stage design, architecture and visual arts.